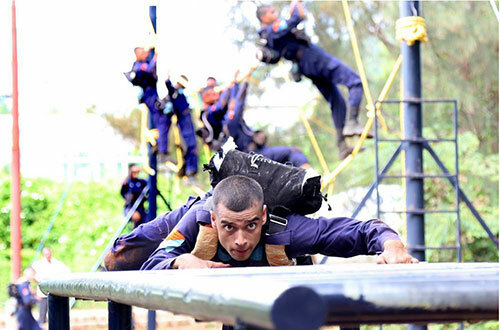 Stay Fit for SSB: Mentally & Physically - Many aspirants have doubts regarding SSB fitness. Candidates going for SSB should be mentally as well as physically fit according to medical standards.Today we are going to share most important and essential fitness plan for SSB. Things you should follow before going to SSB and make yourself fit both mentally and Physically. Read our article and checkout tips for staying fit for SSB. Any queries or doubts in mind feel free to ask below in comments. As it is said "Stay Fit, Become Hit". SSB interview will decide the ability and future of aspirants to join Indian armed forces. As SSB includes many tests which requires great amount of mental and physical fitness, you must keep yourself healthy. Here are few tips to keep yourself fit during the SSB. First of all you should regularly do exercises. Doing exercises will improve your immunity power and stamina. These exercises may include jogging, sit-ups, pull-ups and rope-skipping. So during GTO tests such as individual obstacles, Full Group Task your stamina will make you lead the group and impress the GTO officer. Yoga also is very helpful for SSB aspirants. Doing Yoga daily will keep you mentally as well as physically fit. Your concentration will improve by doing yoga. This will be helpful in PPDT, WAT, TAT and other psychology tests. Good food habits too keep you healthy. Avoid eating outside food while you are undergoing SSB interview. If you eat outside at unhygienic place, you may fall ill. At SSB you will get simple but hygienic food. Sleep early in the night in order to be fit. Many candidates chit chat or watch TV till late night. This will cause them feel uncomfortable when they wake up in the next morning. As in SSB you need to report to the ground in the early morning, sleeping early will give your body proper time to relax. Dinner will be served from 7 to 8 PM. Eat your dinner and then study current affairs for some time. Then at 9'O clock go to bed. So next morning when you wake up you will feel fresh. Keep your clothes and surrounding clean and tidy. As you have to do many physical exercises at SSB interview, you will sweat. So do wash your clothes regularly as and when required. Many aspirants who appear in the SSB interview do not wash their socks. Socks and handkerchief are very important items to be taken care of in order to stay fit. Wash them regularly. We suggest you to keep two pairs of socks and two handkerchiefs with you. Wash the used ones at end of the day. A balanced diet chart will help people to stay fit and healthy. You can also avoid few regular health problems like over weight. In order to follow a proper diet plan for weight loss, it is always better to prepare a diet chart and stick to it. Diet chart helps us to know how much quantity are we eating and what type of food are we consuming. How many calories you consume in a day? It is always important to know how many calories you have consumed in a day. Which will further help you in loosing those calories in a systematic way. You can easily burn the calories you just had today. When you are preparing this diet chart, its better to include healthy and nutritious food. Maintain a complete information about what exactly is a low calorie food, which food is more protein rich, which kind of food has more fiber in it and Etc. You should always conduct your own research, which says which food contains high concentration of vitamins, minerals and other essential nutrients. Do have fruits in your meal. Cool down. Take deep breathes and relax yourself. This was all about Tips to be fit for SSB both mentally and physically. Hope you liked our article. Start with daily schedules from today to make yourself suitable for SSB. It needs patience and hard work to get for that fitness. So follow diet plan and also exercises to give your best shot in SSB. For more SSB guidance follow our Official Facebook Page. Any Questions in mind feel free to ask below in comments regarding Stay Fit for SSB: Mentally & Physically!